Here’s an American-made hammer shotgun I would love to own. It’s a Parker underlifter shotgun. While this design looks like it would be clunky, it’s actually very nice to shoot. From Paker Bros.’s first days of gunmaking in 1869 until around 1877, the company didn’t offer graded guns. Instead, every gun was custom made. Buyers told Parker what they wanted; Parker came up with a price. 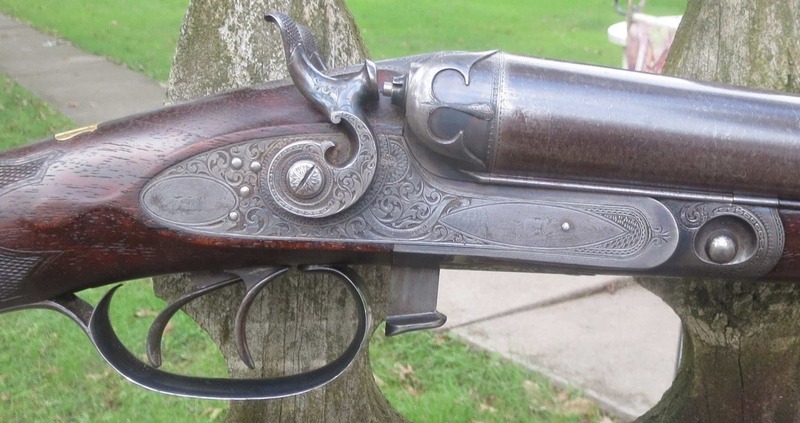 This gun cost $300–which was a ton of money in 1877. So today it’s known as a $300 Dollar Grade. This would have been a top-of-the-line model back in the 1800s, and Parker built very few SxSs, underlifters that cost this much. Most were from $50-$250.